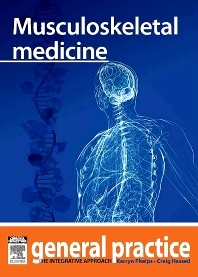 Musculoskeletal Medicine - General Practice: The Integrative Approach Series. Musculoskeletal medicine (MSM) is that branch of medicine dealing with the conservative management of disorders of the musculoskeletal system, including the muscles, aponeuroses, joints and bones of the axial and appendicular skeletons, and those parts of the nervous system associated with them. These disorders represent the most common cause of disability in most countries across all age groups and are the third most common reason for presentation to general practice.